Orbit: Original premiere in 2012 at WAXworks, Triskelion Arts Center in Brooklyn, NY. Duet created with Heather Acomb originally inspired by my dogs playing and wrestling. But, then the discovery of two sparkly dresses changed the intention as now we were exploring the competition involved in various situations revolving around fashion and appearance. Triangulation: Premiere May 2012. This particular video is from a performance in April 2014 at Hobart and William Smith Colleges. Performed by Alaina Olivieri, Kelly Johnson, and Kathy Diehl. This work is an examination of the concept of triangulation as it pertains to family systems theory. Elements of unpredictability, instability, and volatility juxtaposed with moments of tenderness, love, and dependence creates an environment of distrust and, ultimately, distance and separation. Fragments of a Haunted Mind: Premiere April 2015 at Hobart William Smith Colleges. Created in collaboration with students in the dance department. We explored responses to the question "what haunts you? ", an idea I had been considering in regards to human grief and suffering. The work unfolded into an examination of light and darkness, multifaceted gestures, blurred edges and crystalline moments. 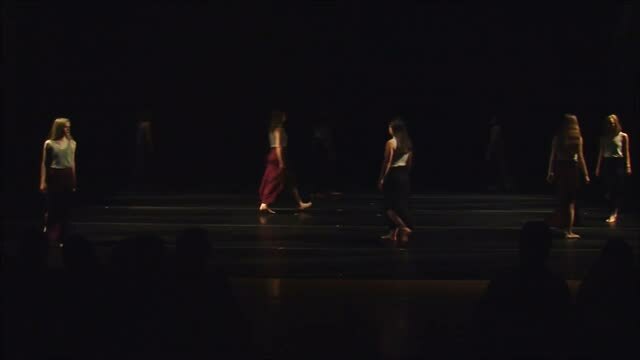 Into Landscapes of the Unknown: Premiere September 12, 2014 at 92nd Street Y in New York City as part of the CHIN Project, a mentoring program created by Doug Varone and Dancers. For this work, I was inspired by images related to both human nature and the various textures of the Pacific Crest Trail as described in Cheryl Strayed's book, Wild. Dancers stir the space, reveal shifting perspectives, navigate in and around potential obstacles and ultimately reach a level of confidence and familiarity in their responses to the terrain and each other. 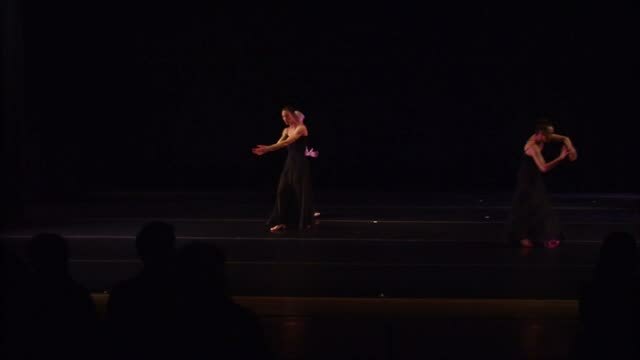 Winter Branches: Originally premiered at Hatch Hall, Rochester, New York for Nadine Sherman's solo concert. The movement is improvisational, while the music is an original composition by Nadine Sherman.